– Mouse Steering. You can now select the mouse steering profile in the controller settings. – Track rotation in Multiplayer. – 3 new FFB multipliers for spring, damper and friction in FFB settings. – Added Custom Championships in RRE. – Shadow map improvements to make car shadows smoother. – Put local shadow map back to 32 bits for smoother car shadows. – Added car shadow kernel and epsilon. – Implemented better device support by changing device ID to include instance, wheel type and rim type ID’s to support several devices of the same type and to differentiate between devices that share the same product ID. 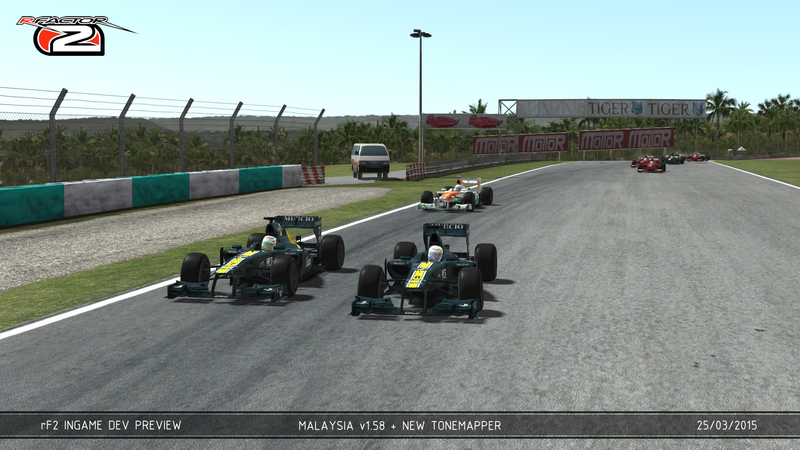 (Fanatec CSR and CSR Elite for example). More default profiles will be added later. 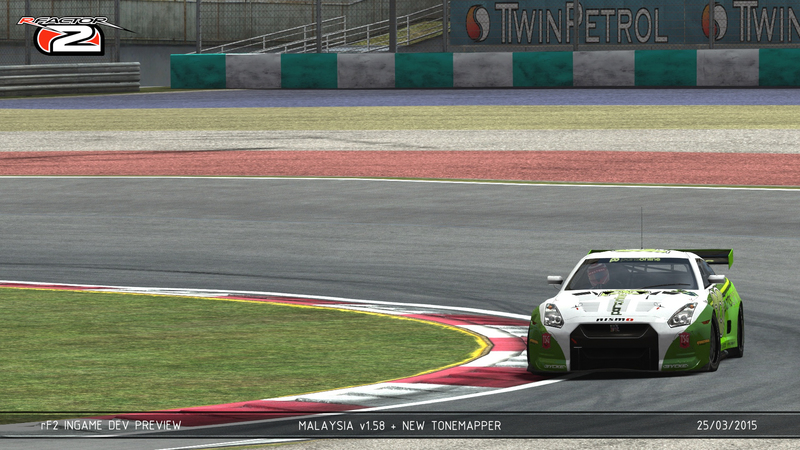 – Fixed the mixup in ADAC championship screen where tracks showed under cars header and vice versa. – Fixed IBL (Image Based Lighting) not loading for Sonoma in replays. – Fixed AI hitting pit wall from standing start in Sonoma. – Fixed cut track penalty message coming up after rolling start in LBC start. – Changed the banger sound priority from medium to high so they play when full grid. – Fixed an issue with AI launch from 1st gear. – Fixed an issue with disappearing skid sounds. 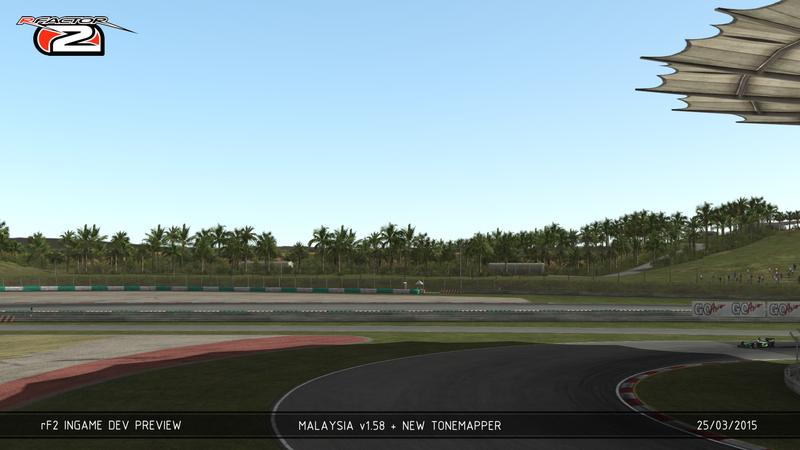 – Fixed triggering issues with pitcams. – Changed RRE timing screen a bit to make IN PIT (yellow) text more readable. – Added 3 new FFB options. Spring, Damper and friction strength. These work as multiplers and multiply what is set in the driver. Default profiles have these off by default. – Tweaked all the default profiles due to changes. Please note your old control profiles will be backed up and won’t be usable. – Default Controlset: Added ffb steer spring coefficient. We invite you to become a participant in the development of BOM by purchasing a Pre-Order in the continuation of the legendary Sturmovik series. By doing this, you will be the first to get access to the product and the reproduction of the legendary air battle of World War II which took place from October 1941 to April 1942. Battle of Moscow will include a large-scale map (270 x 290 km) and several famous aircraft that have been recreated from detailed drawings and blueprints (I-16 Type 24, Bf-109 E-7, MiG-3, Bf-109 F-2, IL-2 model 1941, Bf-110 E-2, Pe-2 Series 35, Ju-88 A-4, P-40 E-1, MC.202 Series VIII). 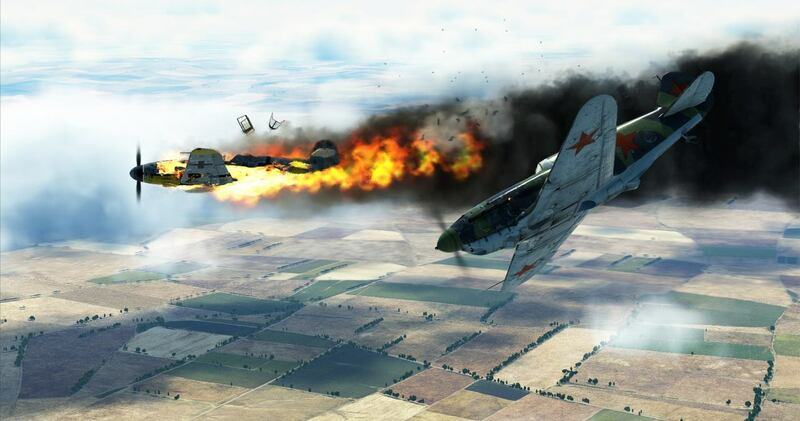 Battle of Moscow is fully compatible with “IL-2 Sturmovik: Battle of Stalingrad” through a single user account. Мы предлагаем вам стать участниками разработки и оформить предварительный заказ на новую часть легендарной серии авиасимуляторов «Ил-2 Штурмовик». Это позволит вам стать первыми, кто получит доступ к проекту, охватывающему период с октября 1941 года по апрель 1942-го. Будет воссоздана масштабная модель карты размером 270 на 290 км, а на основании архивных данных построены точные виртуальные копии 10 самолетов тех времен (И-16 тип 24, Bf 109 E-7, МиГ-3, Bf 109 F-2, Ил-2 модель 1941 года, Bf 110 E-2, Пе-2 35-й серии, Ju 88 A-4, P-40 E-1, MC.202 Series VIII). Полная совместимость с «Ил-2 Штурмовик: Битва за Сталинград» через единый игровой аккаунт. – X is zero : Same as the /zero_all command but for one driver. Videos using SweetFX – grab it with our settings here. Update to v1.30 by running GSC Sync. NOTE: The above package is for users updating from v1.252. If you are manually updating from v1.21 you will first need to install v1.21 to v1.25 update package from this link, then add the v1.251 & v1.252 update package from this link , then v1.27 update from this link before applying the v1.30 update. Added Copa Petrobras de Marcas – brazlian touring car series with Ford Focus, Chevrolet Cruze, Toyota Corolla & Mitsubishi Lancer GT models. Shadow optimization & AI improvement for Montreal Historic. Unfortunately no code updates yet on this build (a status update on this will follow shortly). Please direct your bug reports on v1.30 to this thread. If you already own and enjoy GSC Extreme, help us share the word by posting your review on Steam! For issues installing / running / setting up GSCE, please refer to our FAQ , and our GUIDES first before posting. More information on the headlight intensity changes in our upcoming build: They are mostly going to require reducing attenuation values. That’s a sort of realistic value for a typical standard single bulb halogen headlight. Intensity is in lumens / 1000. In this update being made live later today, we are providing fixes to the previous iteration ‘Build (09/03/15 v2)’. As always, we accept customer feedback – and lately we have been enjoying the constructive feedback that has been coming from the community as this has been greatly helpful in progressing forward with the further development and improvement of Spintires.